A couple weeks ago, Discovery Trekking Outfitters sent me one of their Ultra Fast-Dry Towels to test out. I had heard about the towels online and was excited to try one out. The Ultra Fast-Dry Towels are much different than standard towels. The most noticeable difference is that they are super thin and light weight. 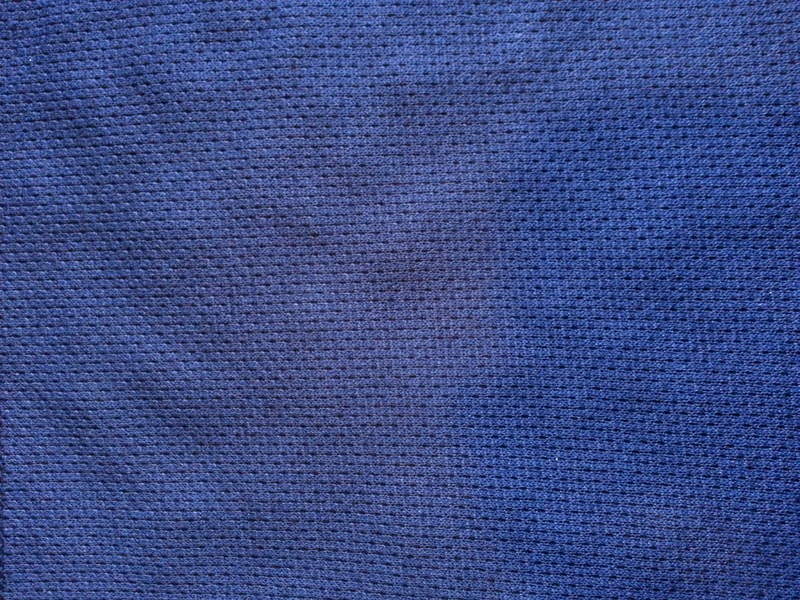 The material that the towels are made from looks just like the material that "tech" shirts are made from (which explains the moisture wicking and fast drying time). 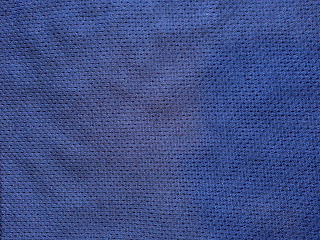 The material looks a lot like a "tech" shirt, which explains the light weight and quick drying time. The thinness of the material has it's pro's and con's. On the pro side, it does dry incredibly fast. 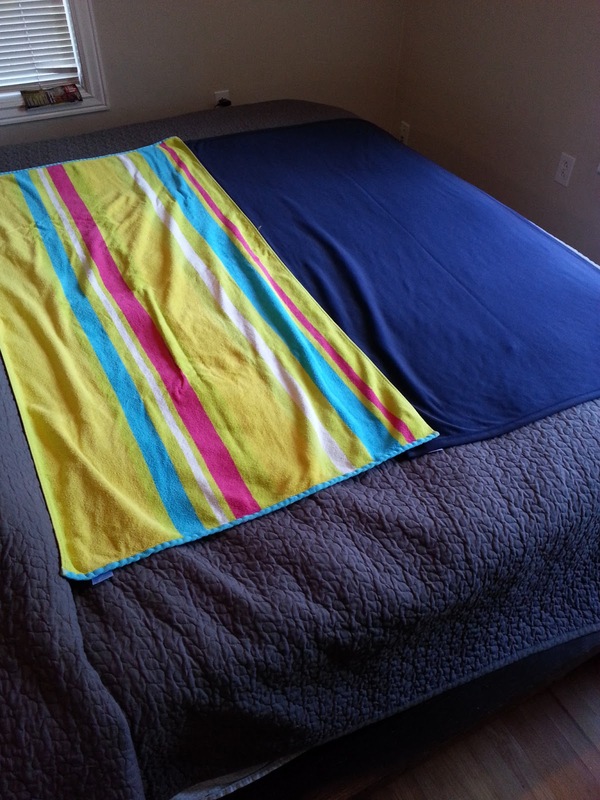 I didn't do a side-by-side drying test, but it easily dries twice as fast as a regular towel. It is extremely lightweight and folds up to about 1/3 the size of a regular towel. The Discovery Trekking towel and my regular towel folded up. The downside of having such thin material is that it's not as satisfying to towel off as a big, fluffy towel. The material is also somewhat sheer and I felt like maybe I was showing off more than I wanted to in the locker room. I took the towel on vacation to California last week because it claims that sand doesn't stick to it and that it provides protection from the sun. I can't vouch for the sun protection (I was trying to get a tan :) ), but it worked amazingly well on the beach and for wiping sand off of my feet. 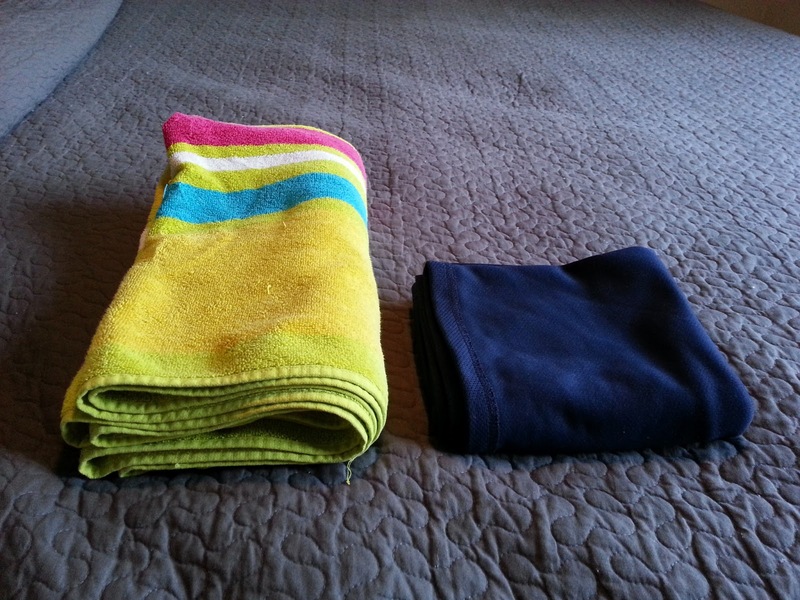 The towel also touts antimicrobial properties due to Silver Sand technology. It sounds gross, but I have been using the towel for two weeks without washing it, and it doesn't smell at all. I love that the towel takes up so little space in my swim bag, and allows me to pack in more stuff. My regular towel, hogging all the space in my swim bag. 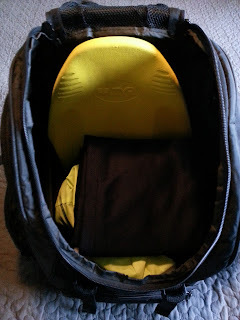 The Discovery Trekking towel in my swim bag, leaving me lots of room for more gear. 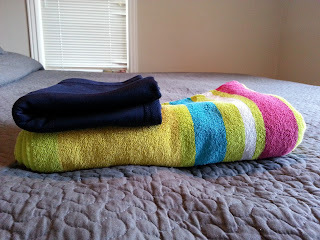 Overall, I like the towel but I don't know that I will be switching over to the Discovery Trekking towel for daily use. 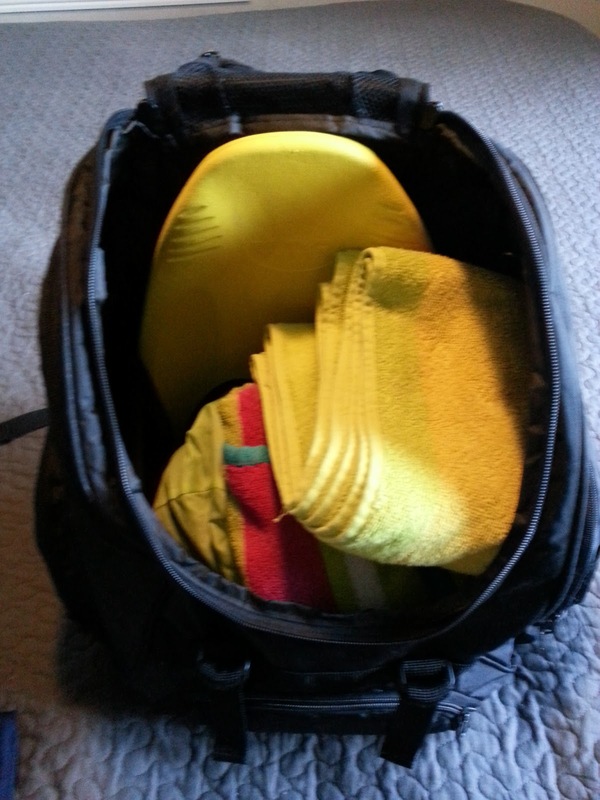 I do see this towel becoming a key part of my open water gear bag and getting a lot of use this summer. The towels are available in different sizes and range in price from $14.95 to $29.95 on the Discovery Trekking Outfitters website.